Round magnifying glasses: If you are using round magnifying glasses with the visually impaired, then you will need to have a student or students that do not get easily distracted when holding something in their hand during classwork time. 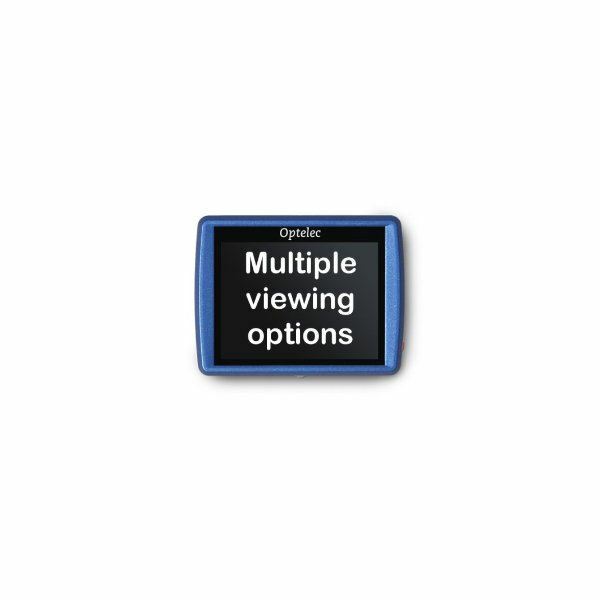 Many of these page magnifiers work well, magnifying words and pictures 2.5 times their normal size or sometimes even 6.0 times larger with the bifocal feature. The only problem is students have to hold the handle and move the magnifying glass over the words as they are reading. If they are doing any work where they need to use the text and then write an answer, they may have to juggle between the magnifying glass and their pencil. For classroom use, round magnifying glasses may also serve as a distraction to other students. Full-page magnifers: Some full-page magnifiers are sturdy and created out of acrylic lens to be used over and over again. They also may have a protective plastic coating. Other full-page magnifiers come in packs, are inexpensive (three pages for less than $5.00), but may not last as long in a classroom. The benefit of using a full-page magnifier with the visually impaired is that students will have their hands free. They can lay the magnifier on their textbook, see the page magnified between two to three times its original size, and easily answer questions or take notes. These magnifiers can be stored in a folder or textbook, so that the child can take it out when she is ready to use it. school district can afford electronic page magnifiers for the visually impaired, then this is another option you can consider. These electronic devices usually have a much larger magnification rate such as 10 or 15 times the regular text size. They are small and can easily fit inside a book bag or desk, and students can get them out when they need to use them. The problems with electronic page magnifiers for the visually impaired in the classroom are that a students' hands are not free when they are using them; and most only magnify a few words at a time, like a magnifying glass, instead of the entire page, like a full-page magnifier. If a student loses or breaks the electronic page magnifier, they can be expensive to replace, ranging from about $200 up to $1000. Students need to read small print in a text book to follow along while their classmates' read or to read when it's their turn. Students are involved in peer editing each other's writing. Students with visual impairments can use a page magnifier to see their peer editing partners' work and suggest revisions or help with edits. Students are doing a reader's theater performance or another oral reading (such as poetry or a speech). Page magnifiers can help visually impaired students to see their script just as well as their other classmates. Many students with visual impairments can be mainstreamed into a regular classroom setting with the help of page magnifiers, and several different options exist to fit your school's budget.